LITERATURE OF THE NINETEENTH CENTURY. ENGLISH 206, SPRING 2008, at SIMON FRASER UNIVERSITY. For Mr. Stephenson's students, there is a room change for one of the Wednesday classes:the 12:30 seminar (107) will be moving to AQ 5026. A reminder to all that this week is the course reading break: there is no tutorial nor office hours this week, and there is no lecture on Wednesday. I am in Lille, France at the Third International George Gissing Conference. E-mail should be answered on the customary schedule, of course. With this opportunity to compleat course reading (for the second time through) the lectures next week will be even more appreciable than usual. Follow the hotlink in this post's title for a list of the financial aid and awards available to undergraduates: the deadline is April 15th. A list of SFU bursaries (a hidden help) is on-line here. 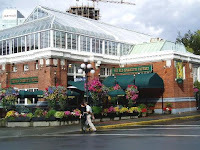 There is a identical building in style to the Ninevah Court in London's Crystal Palace, shown on overhead in Mr. Zillwood's lecture, over in Victoria: the Crystal Garden. A interior tour there will take you imaginatively back to the historical moment of Dante Rossetti's poetic muse. The website in the hotlink above has informative architectural information. How Do I... Integrate Sources in a Paper? A series of term-paper writing drop-ins organized by the Burnaby Student Learning Commons. Bring your draft, your assignment, or just your questions. Share experiences with other writers and learn about strategies and resources to help you further as that term-paper deadline looms! 2004, Bennett Library, Burnaby campus. How Do I...integrate quotes and sources? How Do I...edit my own draft? Free for all SFU students; no sign-ups necessary. "What I Don't Understand is...."
"What I don’t understand here is…"
Why I bother coming to lecture? Why the quizzes are at the beginning of class. Why it is expected of me that I do not understand the course material or some small part of it. If the Victorian Age was so prosperous and magnificent as it seems, why did it end? Or, what caused it to appear like it ended? 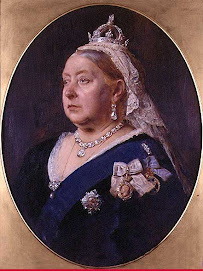 The cultural impact Victorian England has on the 20th Century. What is Succubus? I didn’t catch the definition in lecture or its significance to the material in the week we looked at Cranford. How to read poems like Childe Roland. The reoccurring significance of Arnold’s quote “sweetness and light”. Why is it brought up so often? Why does it hold such important connotations? The significance of Ruskin in the course. What was the importance of talking about him? The concepts of via media and Ruskin. What is via media? I thought Ruskin’s ideas were of things being flawed, imperfect but apparently they are not? How did the in class “game” relate to Ruskin? What I should focus on – in terms of the readings- that will pertain to the final exam. Will we have to know ALL the readings? Why Sir Arthur Conan Doyle is so dumb in your eyes? Nothing’ everything has been clear and straight forward, to my understanding. How domestic power was considered more powerful than non-domestic. Via Media is a middle way of. It is a middle way between Roman Catholicism and what? The concept of via media. If it is very important I would love to have it more precisely examined. The importance and role of domestic powering Victorian England. What are the strong points and weak points of domestic power? Is the “Sherlock Holmes” studying method mainly finding data before making a theory? Or is there more to it that I’m missing? We’re supposed to let “the text talk to us” without incorporating our previously learned information. The representation of gothic in John Ruskin’s work we have looked at. Dialogic / dialectic’s relationship. Are these the same? Is one a necessary component of the other? The whole Darwin and capitalism thing and the “sweetness and light” concept. How colonialism ties in to other Victorian principles like natural selection and industrialism. Why we cannot question Darwin. Please don’t tell any one that. I don’t want to get kicked out of SFU! Gissing and Darwinism, what’s he think about it? Who is a Darwinist of the authors we have read? Why Darwin and his ideals were the beliefs of the majority of people in the time we’re studying. Why you don’t like Mr. Darwin ?!? The application of ‘social Darwinism in a capitalistic society. Why Charles Darwin is the do all and end all, when there are so many opposing views. Cardinal Newman’s points in both his essays. Where did George Gissing think women fit in Victorian society? What was the social position in Aurora Leigh? Dialectic and Didactic in the readings and how it is important. How to determine if a piece is dialogic or didactic. Why is didactic literature denigrated as being “lower brow”? For merely stylistic reasons? Enough about the nature of the didactic vs. dialectic argument. What exactly Gissing wants to get across with the novel. And mainly, what’s the deal with the novel’s ending? I feel like it just ended and I am still wondering what he is really trying to get across with the novel and the way he left it. The plot in the book In the Year of Jubilee. How Elizabeth Gaskell’s view on domestic power applies to other aspects of Victorian Literature. I understand how it applies to Sherlock Holmes but not how it applies to other texts. The Cranford / Holmes connection. [Dr.] Ogden showed that the women in Cranford observed small details, and then showed that Holmes also observed small details. This was said to show that Holmes was a male with a female mind. I don’t understand why male brains cannot observe small details. How Hardy’s presentation of women can be seen as proof of domestic power being stronger than public power. How paying attention to detail in the domestic sphere constitutes “real power” for women. You’re not powerful unless you have equal rights. What exactly is the Woman Question? What Nancy Lord represents in relation to the portrayal of Victorian women. "The Woman Question” – what exactly does it encompass? Is it just about class? Domestic power? etc. Is there more I’m missing? How the woman question pertains to every text. Was it really that big a deal? The woman question. It’s very broad. Why we have such strong preconceptions about lack of women’s power in the 19th century. Why is being interested in the Queen a lower class thing? How we should get rid of an beliefs in order to understand a piece of literature. After receiving your first course essay with complete marking this week, you might refer to the "Letter Grade Criteria for Essays" link in the Pertinent & Impertinent list here on the blog. If you have any specific aspect for discussion about the grade that your essay has earned, relate the essay and the copy editing and comments from the TA to these objective criteria. Were you then to bring the essay to an TA's Office Hour for discussion, frame your remarks and questions directly to these criteria. This provides an independent standard and a common framework for understanding the expectations and requirements for a scholarly essay at the University level. "Queen Victoria adopts a regal pose: Now that IS posh, Posh!" Of all the many adjectives applied to Victoria Beckham, 'sophisticated' has been one of the least used. Until now. Posh Spice is at last living up to her nickname with a glamorous yet refined photoshoot for Vogue, including her first cover. Posing in a series of flowing outfits accessorised with diamonds, the 33-year-old singer and fashion designer evokes memories of the young Princess Margaret, photographed for her 19th birthday by Cecil Beaton. Copies are available at SFU library. You might want to buy your own copy at the SFU Bookstore. This guide is available in PDF format. 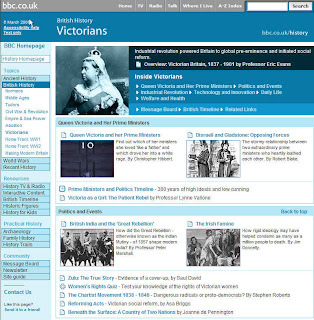 The BBC has a marvelous webpage on the Victorians, from a post-colonial point-of-view, and with several articles relevant to course lecture and, even, essay topics. Where does George Gissing's In the Year of Jubilee stand on the issue of Culture? Does the novel favour the Nineteenth Century's mass education of the female middle-class as the means to spread "sweetness and light", on the model praised by Matthew Arnold? Does Gissing question the efficacy of this Utilitarian pedagogy; ultimately setting it up for ridicule? Or does the text refuse any final conclusion? Answer with quotations from In the Year of Jubilee and at least one other course reading. Explain the extent of the influence of social class on writings by the bourgeois women authors on our course readings list. Include the specific determining features of the Victorian middle class as presented in lecture and, if you wish, in your choice of any academically-valid secondary source or sources. Use Florence Nightingale and a minimum of two other women writers in your analysis. Engage any position that lecture has taken on any of the course reading material and argue a dialectical response. Your essay must show that you understand the precise nature and character of dialectic as it was presented and discussed during lecture. Conform your essay to an established Style Guide -- the MLA is preferred -- and include a cover page and list of Works Cited. A new book by Stephen A. Marglin, Walter Barker Professor of Economics at Harvard University, titled The Dismal Science: How Thinking Like an Economist Undermines Community puts in prosaic form some of the points that George Gissing is presenting vis a vis Nineteenth Century Darwinism-Capitalism. Economists celebrate the market as a device for regulating human interaction without acknowledging that their enthusiasm depends on a set of half-truths: that individuals are autonomous, self-interested, and rational calculators with unlimited wants and that the only community that matters is the nation-state. However, as Stephen Marglin argues, market relationships erode community. In the past, for example, when a farm family experienced a setback--say the barn burned down--neighbors pitched in. Now a farmer whose barn burns down turns, not to his neighbors, but to his insurance company. Insurance may be a more efficient way to organize resources than a community barn raising, but the deep social and human ties that are constitutive of community are weakened by the shift from reciprocity to market relations. Marglin dissects the ways in which the foundational assumptions of economics justify a world in which individuals are isolated from one another and social connections are impoverished as people define themselves in terms of how much they can afford to consume. Over the last four centuries, this economic ideology has become the dominant ideology in much of the world. Marglin presents an account of how this happened and an argument for righting the imbalance in our lives that this ideology has fostered. Literary Terms: an informal on-line list.